For most of the 5 weeks we spent in Peru we had arranged our transportation ourselves. This was probably equal parts wanting to do it ourselves and the fact that our route didn’t completely line up with the typical tourist’s route along the coast that Peru Hop offers. 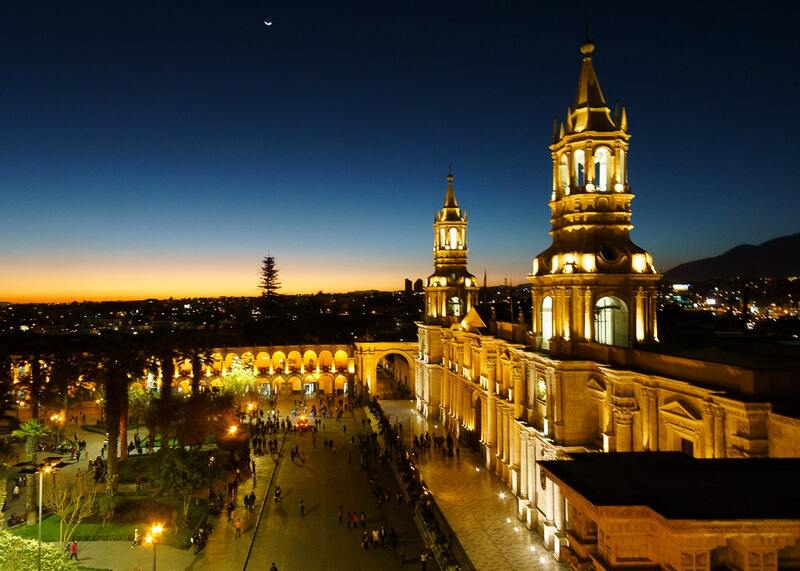 However, when we were in Arequipa the next leg of our trip was to travel in to Bolivia. 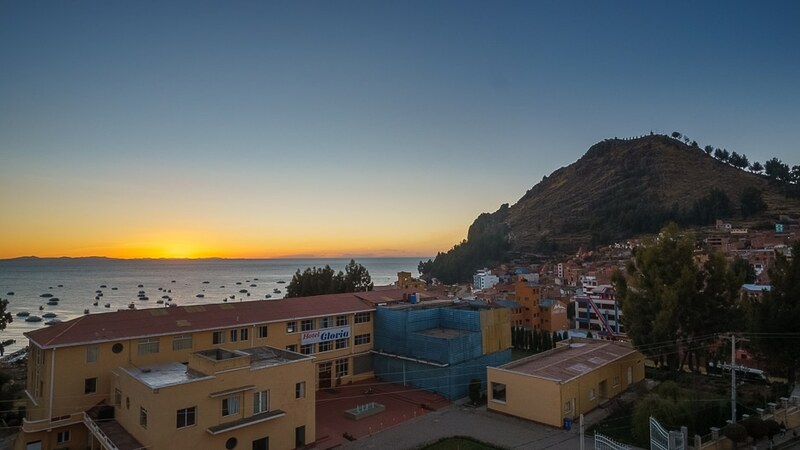 This would include a border crossing and some short stops in Puno and Copacabana to visit both the Peruvian and Bolivian sides of Lake Titicaca. 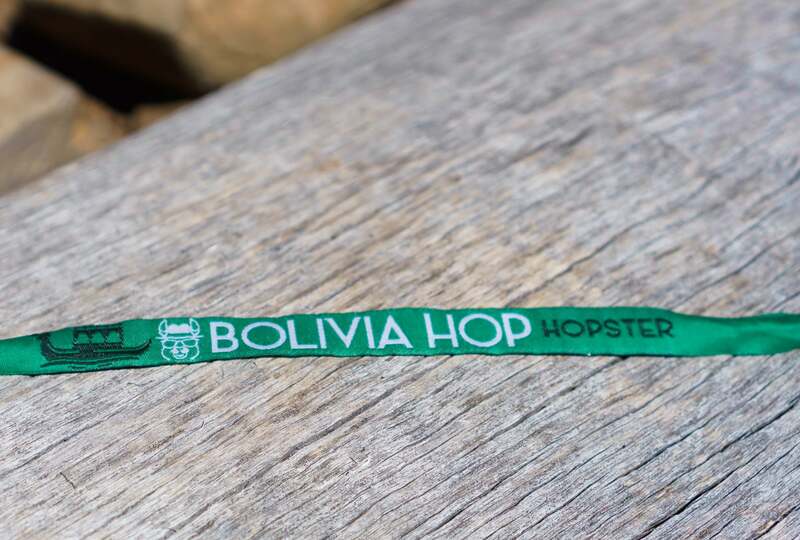 With local options seeming affordable but uncomfortable, we came across a flyer for Bolivia Hop, which we hadn’t heard of previously and were intrigued. We contacted Bolivia Hop and they were kind enough to sponsor some tickets in exchange for a write up on our blog and some social media coverage. Given the popularity of Peru Hop among travellers, we figured we might as well give it a shot and see what they were all about! Note: The opinions here are entirely our own based on the experience we had while travelling with Bolivia Hop. First, let’s get this out of the way, travelling with Peru/Bolivia Hop will likely be more expensive than booking individual bus tickets on your own….but it will be easier travel experience. If you are a shoestring traveller counting every penny, this is probably not the mode of transportation for you. That said, the whole system is set up to take care of tourists and addresses a lot of the challenges people commonly have with transportation in South America. The buses are relatively comfortable as well as safe, the Bolivia Hop team organizes tours and has a recommended itinerary, and there’s always a guide on the bus that can answer your questions. Bolivia Hop partners with a variety of hotels and hostels, sometimes with discounts, to provide accommodation options to their customers. They can also arrange a number of popular tours. Their prices are competitive and for accommodations they have a variety of budgets and styles (ie. party hostel vs quiet room) You could probably find hotels or tours that are a little bit cheaper for some activities if you go at it on your own but overall their tours and accommodation options seemed to be good value. Following their recommended itinerary certainly eases some of the planning burden of extended travel which was a nice break for us! Of course, you always have the option to only use the transportation and arrange your own tours and accommodation. The Hop on / Hop off system works well and is fairly intuitive and flexible. After booking you receive a login for their website and can update it when you want to catch the bus to your next destination. That could be the next day, or up to a year from when you booked your ticket! 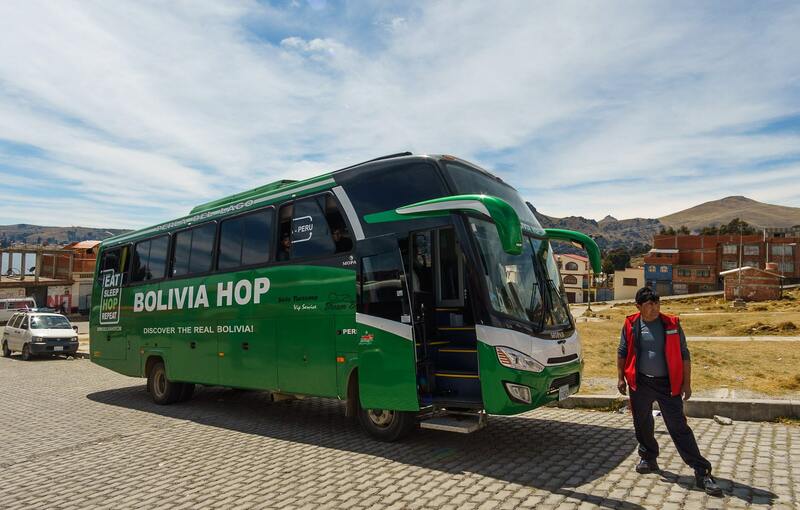 Probably one of the more important benefits of travelling with Bolivia Hop is that you can trust that they operate safely. When booking buses throughout South America there are certainly some operators that drive aggressively, have tired drivers, or even drunk drivers in extreme cases. With Bolivia Hop you know that safety is one less thing to worry about. Another safety perk is that they will (in most cases) drop you off at your hotel or arrange for transportation to your hotel. One of the most disorienting and stressful travel situations can be when you arrive at a busy bus terminal in a new city in the middle of the night. Pick pockets know this and take advantage of that in some cities. Having everything taken care of for you again, eliminates that risk. Of course, these risks are manageable if you’re not travelling with Bolivia Hop so don’t let them scare you off from other operators, but you do want to make sure you do your research and have a clear plan for what to do at the end of your journey. Overall, while they are more expensive than booking tickets on your own you do get good value for what you pay. In all honesty, would we do it all the time? Probably not, because in general we’re comfortable taking local transit and making our own hostel and tour bookings. That said, we definitely understand how Peru/Bolivia Hop became such a popular service. 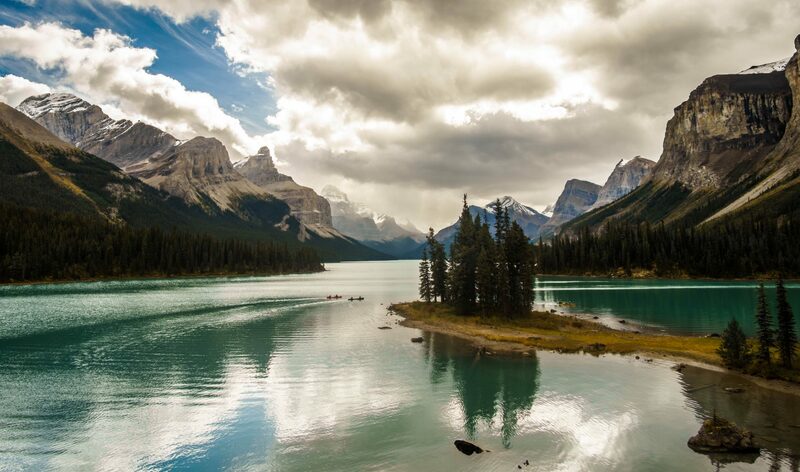 It provides an organized experience with detail-oriented customer service, without being a completely pre-arranged tour by allowing for flexibility for when to hop on and off. With these benefits in mind, we recommend Bolivia Hop/Peru Hop for some, and maybe even all of your transportation needs in Peru and Bolivia if your itinerary and budget allows for it. After an early morning pickup in Arequipa our first stop on the way to La Paz was at Puno, Peru where we could visit the Peruvian side of Lake Titicaca and the famous Reed islands on a tour that we purchased through Bolivia Hop. Our bus made good time and we were dropped off early (a rarity in South America!) so we explored the city before getting picked at our hotel for an afternoon tour of the Reed islands. 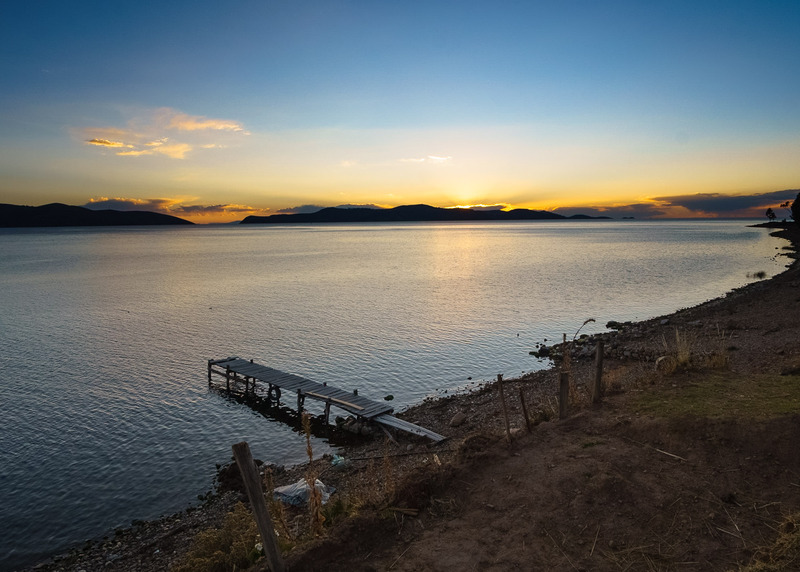 The Reed Islands are one of the iconic images of Lake Titicaca. The islands are definitely an interesting and unique site and it’s amazing to imagine the traditional lifestyle that used to take place on these islands. Unfortunately, they’ve gotten very touristy. No one actually lives on the islands anymore and they are built simply to house the shops for the ladies selling their wares. 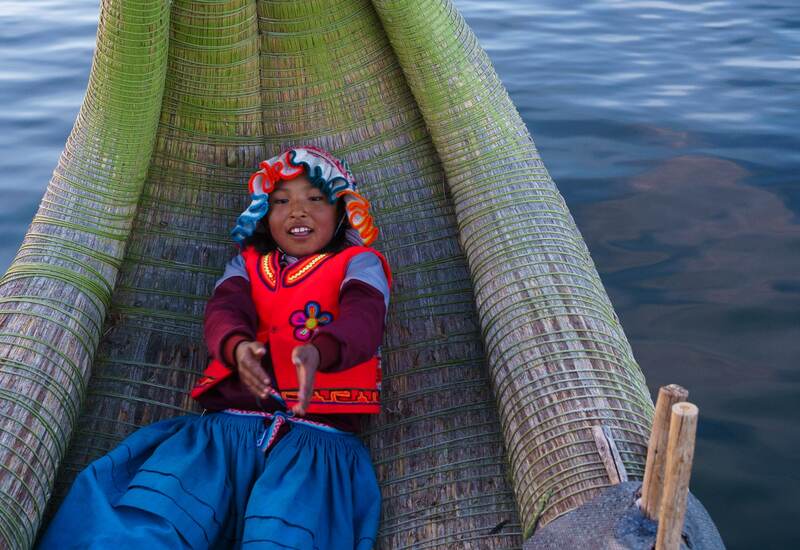 While you’ll learn a bit about the local culture and the history of how the Islands came to be (the Aymara people built the floating islands to escape the encroaching Incan Empire), the tour is designed to encourage you to spend money on souvenirs and tips. For example, when you take a ride on the reed boat their children sing for you before holding out their hands for tips. Make no mistake, the kids are impossibly cute, but a little contrived in our opinion. They sure are cute though! 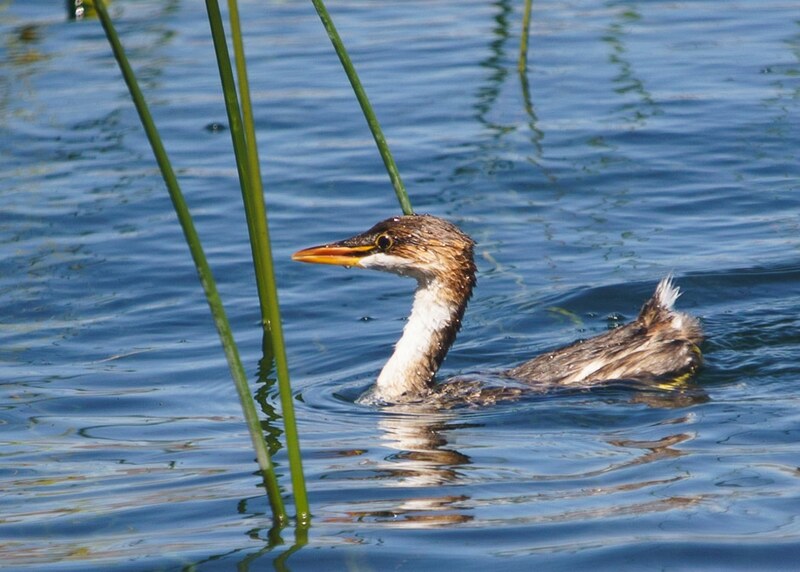 At this point the islands are only maintained as a tourist attraction and unfortunately the reeds that the islands are built from are also the nesting ground of the endemic, endangered Titicaca Grebe which is now nearing extinction. Increased boat traffic from tourism, as well as the harvesting of reeds to make the islands, is putting further stresses on an already endangered species. If we had known this information ahead of time, we would not have taken a tour to the reed islands. 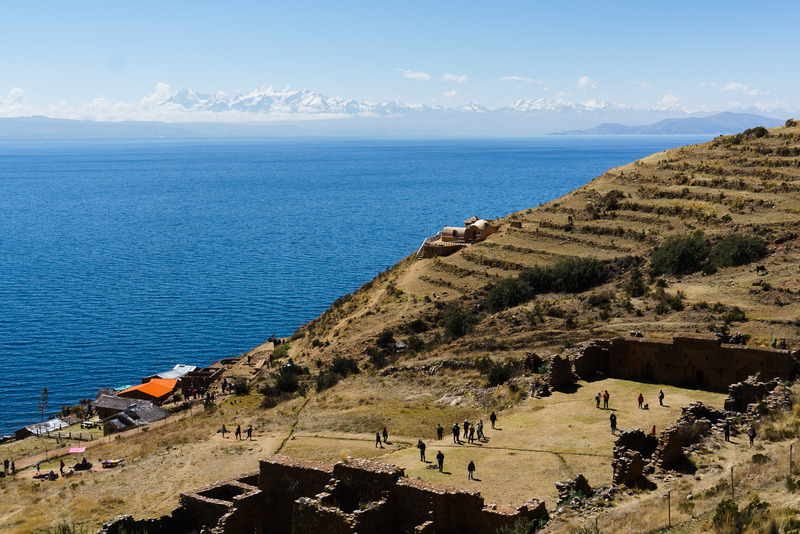 Also, If you are tight on time and can only visit one site on Lake Titicaca, we think that the Bolivian side is a much better bet. Read on to find out why! The next day Bolivia Hop picked us up from our hotel and we continued on to Copacabana, Bolivia. At the border we all unloaded off the bus, exchanged money, and filled out our paperwork. The entire time the Bolivia Hop guide was around, answering questions and ensuring everybody stuck with the group. This was a much welcomed benefit, as we have had our fair share of head scratching moments while making border crossings in South America. As far as border crossings go, this one was pretty quick and straightforward. An interesting side note – Bolivia is free to enter for most countries but one notable exception is the USA which requires a $160 visa for each person entering the country – ouch! Another oddity on entering Bolivia is that unfortunately they generally only provide an entry stamp for 30 days. This can be extended for another 30 days for free up to 90 days total if you plan to stay longer but requires visiting an immigration office or leaving the country – which is a giant pain. This can be done in any of the major cities but only within 5 days of expiration. At the border we switched to a smaller bus and after a short drive we were in Copacabana. 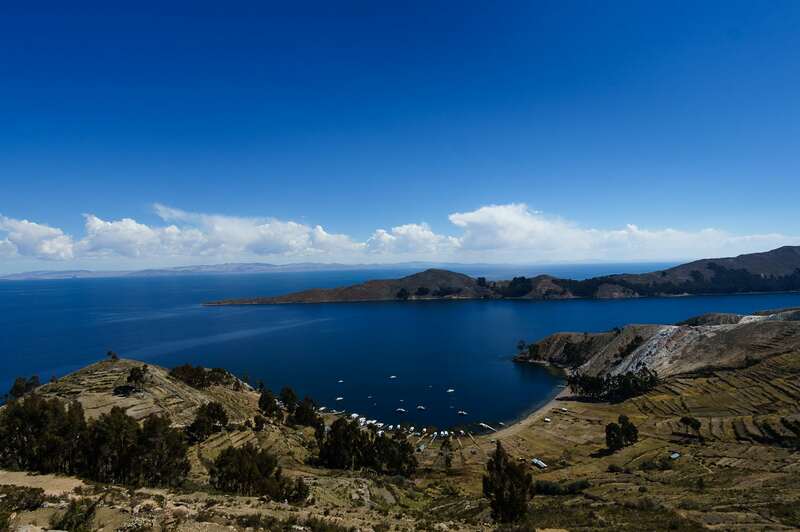 From here we had decided to depart from the standard Bolivia Hop itinerary and planned a visit to both islands on the Bolivian side of Lake Titicaca – Isla del Luna and Isla del Sol. We spent the night at Hotel Wendy Mar in Copacabana and the next day boarded a morning boat to Isla de la Luna. Boats typically depart at 8AM and 1PM for 25-30Bs. In the morning the ferries make a quick stop at Isla del Sol and then continue on for an hour to Isla de la Luna. So we set off to the less touristy Isla del la Luna planning to explore Isla del Sol on the way back. Isla de la Luna has only about 100 inhabitants and much less tourism activity than Isla del Sol. There people live very much the same as they have for centuries and a lot of their traditions and folklore remains intact to this day. For example, according to Incan mythology Isla de la Luna is the location where Viracocha first commanded the rising of the moon, which explains how the island got its name. We spent the day hiking around the small island, checking out the ruins of The Temple of the Virgins of the Sun, hiked around the island while taking in our first splendid views of the Cordillera Real, and enjoyed some serene peace and quiet. We stayed at Hostal Luna del Titicaca which is a nice, small hostal run by a local family. 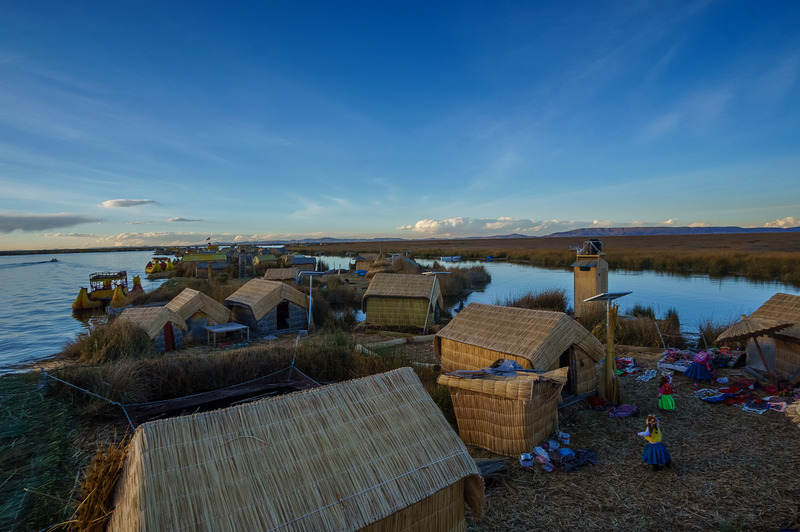 Mostly uncorrupted by mass tourism like the Uros Islands, Isla de la Luna remains an interesting place to experience local Aymara culture, as well as to enjoy its peaceful natural beauty. Due to the ongoing dispute on Isla del Sol tourism activity is increasing on this island, but for now, it’s quite tranquil. Most tourists only visit the ruins in the morning before returning to Isla del Sol for the night so by the afternoon we pretty much had the place to ourselves. We spotted quite a few birds, including the endangered Titicaca Grebe, as well as the Many coloured rush tyrant, slate coloured coots, andean teals, grey hooded sierra finch, caracaras, and a kestrel. Sadly, we didn’t see the equally endangered Titicaca frog. The next day we hiked back to the other side of the island to get on a boat to Isla del Sol. Isla del Sol is the more popular of the two islands with several restaurants and hotels. The island is much larger than Isla del Luna and it’s supposed to have a great hike the length of the island. Unfortunately, for more than a year Isla del Sol has had a conflict between the northern and southern parts of the island, so the northern part is closed off and the closure is enforced violently. Some communities in the north feel they should receive more of the tourism revenue and have taken to blocking off the northern part of the island. This is too bad as nobody really wins in this type of situation as less tourists come and they end up spending their money elsewhere. This conflict doesn’t seem to be showing signs of ending any time soon. As we planned to catch the bus back La Paz in the evening, we had the afternoon to explore so we had a quick lunch and hiked to some of the viewpoints on the southern part of the island before heading back to the boat. Don’t pack your full bag – most hotels in Copacabana will let you leave a bag behind. Pack a day bag or overnight bag depending on how long you’re going. Don’t expect the boats to be quick. The full journey to Isla de la Luna takes 4 hours as the boats all travel very slowly. 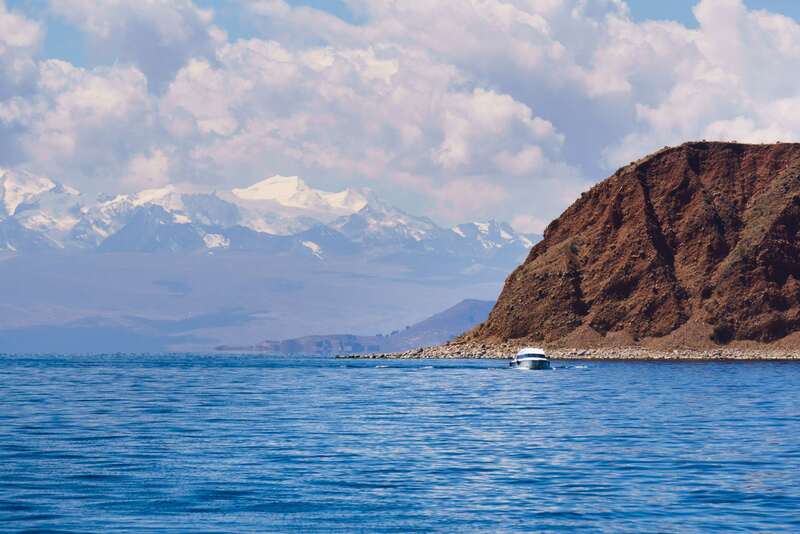 Bolivia Hop offers an afternoon tour to Isla del Sol in a fast boat. If you’re tight on time this might be the way to do it. Each island charges a 10 bob entrance fee. After we got back to Copacabana from Isla del Sol we had a couple hours to kill and checked out one of the kiosks for a Pique Macho (Boiled egg, fries, beef, and hot peppers. It’s actually quite good and very filling!) before loading up on the Bolivia Hop bus. The drive to La Paz would take about 4 hours. After about an hour we stopped and got off the bus so that it could go on a ferry to cross the river while we crossed on a separate boat. Travelling in Bolivia is certainly unique! After completing the crossing they turned on a movie (in English for once!) and we settled in for the rest of the journey to La Paz. We arrived late and were dropped off at our hotel. Again, it was nice to not be dropped off at the bus terminal late at night and have to deal with the hassle of finding a taxi. Bolivia Hop’s services in Bolivia really only extend to the border crossing, Copacabana, and La Paz, but they do make for a good link from Peru (or vice versa). They unfortunately do not go throughout the rest of the country so from here we said goodbye to Bolivia Hop and continued on with the rest of our trip. Next up, exploring La Paz, cycling the Death Road, trekking in the Cordillera Real, and of course, visiting the Salar de Uyuni. We thoroughly enjoyed our experience with Bolivia Hop ( minus the Reed Island tour), and would have considered using them again if they had more routes through Bolivia. They offer great value in terms of safe transport, excellent customer service, and unrivalled flexibility. It’s safe to say, we would hop again.